Albert Einstein, Steve Jobs, Thomas Edison, Agatha Christie, Leonardo DaVinci, and Winston Churchill all contributed significantly to our world. Seldom is it known that each of these extraordinary people had something in common. They all struggled with learning challenges. By overcoming their challenges, they were able to realize and draw on their incredible talents. Students with language-based learning differences, often known as Dyslexia, Dysgraphia, and Dyscalculia, have difficulty learning in spite of having average to above average cognitive abilities and talents. The Learning Center helps elementary and middle school students (grades 1-8) overcome their challenges and harness their strengths allowing them to reach their full potential in school and in life. By giving students the strategies and confidence to appreciate their unique talents, The Learning Center empowers them to contribute to our world in remarkable ways. Language-based learning differences affect a person’s ability to process information and learn in one or more of the following areas: basic reading skills; math calculation and/or math reasoning; oral and/or written expression; listening comprehension. Persons with language-based learning differences may excel in one area, while falling behind their potential and peers in another. These challenges are caused by neurological differences and are often genetic. To provide individualized, multisensory language instruction for developing new pathways for learning to read, write, and spell. To provide students with skills and strategies to succeed in their transition to other schools. To enable students to experience success and to accept and value themselves in a safe, supportive environment by educating the mind, the heart, the body, and the human spirit. To teach students the strategies to become independent, responsible learners. To provide support and education to the families of our students. Proof, results, graduates, success. Kids graduate from The Learning Center every single year, whether that means moving on to high school or moving into a traditional classroom environment. Either way, the proof of The Learning Center’s effectiveness is in the success of its students who re-enter the larger classroom with new academic confidence, strategies, and skills. The Learning Center is a springboard for the developmental, academic, and emotional growth well beyond their time spent here. And I have INCREDIBLE TALENTS. TESTED LEARNING STRATEGIES THAT JUST MAKE SENSE. The Learning Center provides a unique and essential service to children with language-based learning differences by offering an alternative to traditional classrooms. In a teaching environment that eliminates the major obstacles to learning, students are able to close the gap between achievement and their potential. Teacher-student ratios of 1:4 allow for individualized instruction in the core areas of greatest need. 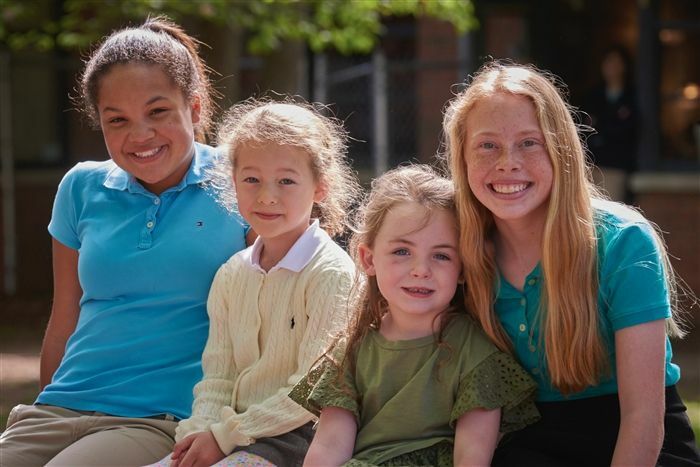 In addition, because it is a “school within a school,” The Learning Center students are an integral part of the overall fabric of the greater Lexington School community. Learning Center students are integrated with all TLS students in “Specials” classes, lunch and recess, all performances and school events, and athletics. The Learning Center offers a learning environment that is built on trust and acceptance. We teach skills in their smallest components, and through much repetition, help students master each skill before progressing to a higher level. Basic skills are taught through visual, auditory, tactile, and kinesthetic methods based on the Orton-Gillingham approach. Our Language Tutorial class is comprised of five to six short segments, enabling students with short attention spans to stay focused on the immediate task. Vocabulary and an understanding of the printed words are the focus of Reading Comprehension. Multisensory strategies and an emphasis upon the foundation skills enable students to reach their potential in Math. Content areas such as science and social studies are taught through the development of creative hands-on projects. Computer skills are taught as a tool to foster independence, and application of these skills is utilized in most subject areas. Students’ individual gifts and interests are explored through the Talents Classes of their choice. What are Free Early Reading Screenings?